Work by the four artists nominated for the £25,000 Turner Prize have been unveiled at London's Tate Britain. The early favourite to win the prize is painter Gillian Carnegie, who creates unsettling versions of traditional styles like still life and landscapes. 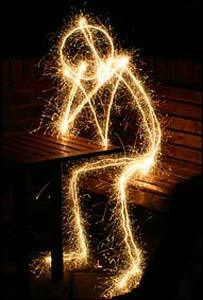 Among her work is a series of nudes known as her "bum paintings". The other nominees are Darren Almond, Jim Lambie and Simon Starling, who all produce installations. The winner will be announced on 5 December. Previous winners of the often-controversial prize have included Damien Hirst, famous for his preserved shark, Chris Ofili, known for using elephant dung in his work, and transvestite potter Grayson Perry. Carnegie is the first artist to exclusively use paint to be nominated in five years. This year's list includes Wigan-born Almond, who uses photography, film, sculpture and installation. His Turner work includes a collection of bus stops from outside the Auschwitz Museum in Poland which he displayed in a Berlin gallery. Glasgow-born Lambie is known for his psychedelic floor pieces and many of his pieces have been influenced by his work as a musician and DJ. 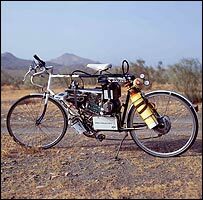 Meanwhile, Starling, from Surrey, rode a moped across the desert which generated power using only compressed bottled hydrogen and oxygen from the desert air. The only waste product from the moped's crossing was water, which he used back in the studio to create a watercolour painting of a cactus from his travels. Other work by Carnegie includes a series of still life paintings, Fleur d'Huile 2001, featuring a withering bunch of flowers in a plastic mineral water bottle. The exhibition is unveiled to the media on Monday and opens to the public on Tuesday. What do you think of this year's Turner nominees?